Here are a few notes on my most recent server build. I’ll fill in more details as time goes on, so check back here in the future. If you have questions, leave them in the comments and I’ll try to address them as best I can. 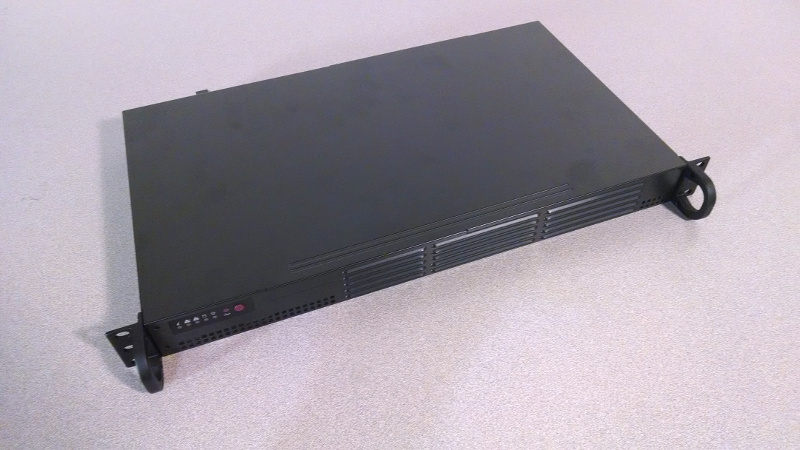 The server was purpose-built for running Proxmox Virtualization Environment. Proxmox VE is a fantastic Linux distribution based on Debian Linux. To the base OS it adds OpenVZ and KVM, two mature Linux virtualization technologies, and then puts a very easy-to-use web-based GUI on top. I also have built two other servers for running Proxmox VE. The videos for those are here and here. Storage: Any SATA hard drive or solid-state drive should be fine – I used a spare I had laying around. The case I used is a 1U rackmout server case from Supermicro with a model number of CSE-504-203B. Click the thumbnail to the left to see my video review of this case. 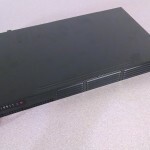 In summary, it’s a sturdy, short-depth rackmount case that is designed for specific Supermicro motherboards. You won’t get far trying to use this case with other motherboard manufacturers – check out the video for more details. For a motherboard, I used Supermicro model MBD-X9SBAA-F-O. This motherboard has an integrated Intel Atom™ Processor model S1260. The cool thing about this processor is, unlike many other Atom processors, it has hardware virtualization support. There are a couple of things you need to know about this motherboard. First, it has no PS/2 ports for mouse or keyboard and supports only USB 3.0. Therefore, only newer operating systems will work properly. Supermicro has published an OS compatibility list here. Secondly, it supports only ECC RAM, and accepts SO-DIMMs. As a result, your choices on RAM are limited as there are not many SO-DIMM memory modules on the market that support ECC. The Kingston RAM I choose works fine. I will be adding to and revising this blog post as my server project progresses. A. Interestingly enough, I occasionally have the very same problem with the power icon on my Ubuntu 10.04 laptop. I’ve never had the issue on my desktop, which is still runing 9.04. I don’t know if the problem is machine specific (such as a driver issue), or whether it is a problem specific to Ubuntu version 10.10. I’ve not done any research on the problem, since tapping the power button on my laptop brings up the power menu with all the options that are missing from the top of the screen. I think it is safe to say that the problem has nothing to do with not verifying the integrity of the CD or the hash of the ISO. Although desktop Linux is commonly promoted with claims that it is more stable and faster that Windows, I’m not convinced that either is universally true. The core of Linux is very stable and fast, but once you add X Windows, background applications and the like, it is comparable with other operating systems. In some areas it is faster and more stable than Windows, but in other areas it is not as good. The main reasons I use desktop linux instead of Windows are cost and security, and it has some other minor benefits as well. However, in my opinion the server version of Ubuntu is definitely faster and more stable than Windows Server. I’m basing this on my experience with the 2000 and 2003 versions of Windows Server. It is possible that Microsoft has improved their server products in later versions. In the years I’ve worked with Ubuntu Linux servers I cannot recall ever having something “strange” happen. In other words, when something is not working it simply means I have not configured it correctly. Ubuntu server is also faster and takes less disk space, letting you serve more people with less hardware investment. At work we put several “virtual” servers on each physical server using a Linux-based product call Proxmox VE. My estimation is that I can host six to eight virtual Linux servers using the same hardware resources required to host only two or three Windows servers.